QuickBooks® is the most valuable tool you’ll purchase to help you build a successful business. As a business owner, you must know how your business is performing on a daily business. Managing cash flow is the major challenge of a new business; and QuickBooks® will help you stay on top of it and make smart decisions to keep you in business and grow sensibly. For a very small investment, you’ll have a very robust accounting system that can handle all your business needs. Managing accounts receivable and accounts payable, reconciling bank and credit card statements, managing inventory, paying employees and handling payroll tax deposits and reporting, tracking and paying sales tax correctly, job costing, managing programs and funds if you’re a nonprofit, using a Point of Sale system, manufacturing products, or managing field services – QuickBooks® can do it all! Set up sales tax tracking. Mistakes in this setup will be costly. It must be set up correctly, and then it will be easy to report and pay your taxes on time. No penalties or interest! Set up payroll accounts, payroll items, and employee records. This is another area in which you cannot afford mistakes. The secret to success is proper setup by someone who understands the applicable taxes, the rules for paying and reporting taxes, the tax implications of various benefit programs, how to handle child support and other garnishments, and who can train you to process your payroll or suggest how best to handle it. Set up inventory items, assemblies, builds, or group items if applicable to your business. 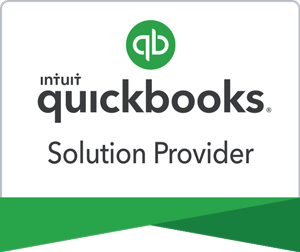 Customize QuickBooks® preferences and Icon Bar to your efficiency. (Accounting is critically important, but it doesn’t produce sales; so while you must do it, it shouldn’t take more time than necessary. Show you how to enter all your transactions correctly. With this personalized support, your new business will be off and running toward success! AND you’ll feel in control of your business and free of the stress that comes from the worry and uncertainty. Whenever you encounter a problem or have a question, your ProAdvisor will be familiar with your business and can provide you quick answers or onsite help if you need it! As soon as you’ve decided to start your new business, call us at 651-324-2273. Jen will answer your questions or connect you with a ProAdvisor from our staff who can! NO CHARGE FOR THIS CALL! We’ll help you make the right choices!